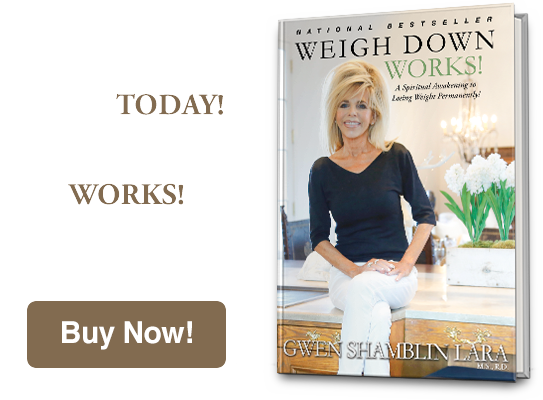 Many years prior to achieving the claim of “New York Times best-selling author,” Gwen Shamblin sat in a small humble retail setting in Memphis, TN leading local classes to desperate, overweight people on how to lose their weight permanently. With her background as a Registered Dietitian, a University Instructor of Foods and Nutrition for five years, and even earning a Masters in Biochemistry, Shamblin saw very early on that current modern-day solutions to weight loss were not yielding results…simply put, Americans were becoming increasingly overweight. With a deep love for God and a profound compassion for the hurting human soul, Shamblin was driven to find wisdom and answers from the Heavens that would lead people to permanent weight loss and improved health. The answers came in the writings of The Weigh Down Workshop—revolutionary information that would soon take on the world by storm. The audio cassettes and local classes provided the practical “how to” steps and sound nutritional guidance on how to eat like a “thin eater” by utilizing God given internal hunger signals. Participants were also taught how to eat “regular foods” and not diet foods, and most importantly— how to fill up the hurting heart and emotions with the love of God instead of the love of food. The results of these original small classes were unprecedented. 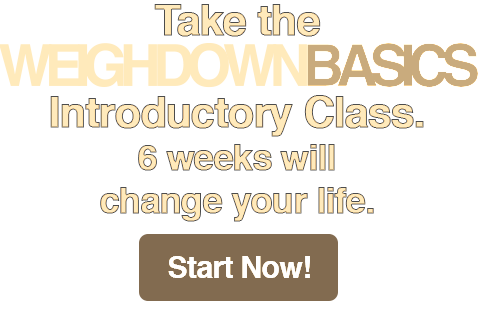 Not only were participants achieving untold weight loss success after years of trying all the well known mainstream diets, they also reported having a completely new outlook on life…those who had struggled with depression, anger and anxiety were experiencing profound joy, peace of mind and renewed hope. Participants even reported that the Weigh Down principles were improving their relationships at home, bringing healing to once rocky marriages and uniting parents with their once prodigal children. The program was packaged for seminar use, churches began to sign up, and the media began to pay attention. The growth was explosive. By the late 1990s, Weigh Down was internationally known in most Protestant, Catholic, and Evangelical churches. 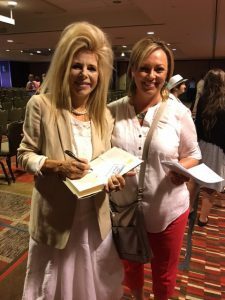 Gwen Shamblin and The Weigh Down Workshop were featured on such shows as 20/20, Larry King Live, and The View, as well as in such magazines as Good Housekeeping and Woman’s Day. In 1997, Shamblin responded to the nation’s request to offer the Weigh Down principles in book format, and The Weigh Down Diet was published by Doubleday, Inc. The book quickly became a million-seller as people discovered the secrets to losing weight quickly and permanently while finding a new relationship with God, simply by putting the Biblically sound principles of Weigh Down into practice. In 2014, Shamblin penned a follow-up book to “The Weigh Down Diet,” entitled “The Tablet,” delving further into the complexity of heart of man by addressing and providing answers to a wide range of issues such as addictions and broken relationships. Her love for God, His church and Shamblin’s 30+ years of marriage to David Shamblin inspired her to write other books over the past 20 years such as Rise Above, The Legend to the Treasure, The History of the One True God, The History of the Love of God, The Breakthrough Series and two devotionals—The True Vine Devotional and The Exodus Devotional: Laying Down Your Stronghold. Shamblin’s deep love for children and childlike heart prompted the writings of Feeding Children Physically and Spiritually, A to Zion Children’s Book, In the Beginning, The Garden of Eden, and the Children’s Treasure Devotional Workbook. Today David and Gwen Shamblin reside in Brentwood, TN across the street from their children and seven grandchildren. 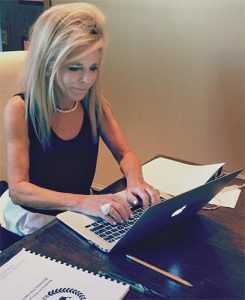 Shamblin continues her writings while while overseeing the needs and direction of Remnant Fellowship Church, which she founded in 1999.